Editor’s Note: On Jan. 7th at 3:16 p.m., information was added in the final paragraph to reflect the memorial service date and further details. HUNTINGTON BEACH — Arthur Scott Henry, known as Art, died early in December. Henry was removed from life support after he suffered from a brain aneurysm. He was a well-known yacht broker. Born and raised in Seattle, Henry graduated from Magnolia High School. He enlisted with the Coast Guard, where he entered into a two-year tour, and served in the reserves for 11 years. 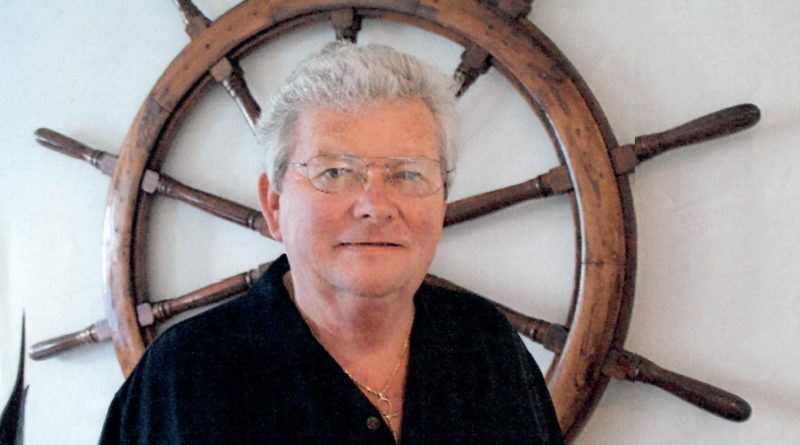 A lifetime member of the Seattle Yacht Club, Henry was a lifelong boater and was born into a marine business family. At age 14, he volunteered to keep his father’s 45-foot boat in shipshape. His wife Judy said he was a natural sailor, which he passes onto his sons. Throughout his life, Henry worked in the marine industry. At the beginning of his career, he manufactured Jolly Roger Jet Boats and then moved onto American Sailboats. A talented manufacturer’s representative, he worked for many years with Tiara, Pursuit, Bertram and Blackfin. Later, when Henry tired of being on the road, he became a yacht broker, using his vast knowledge to help others find their dream boats. Henry is survived by his wife of 48 years, Judy Henry of Huntington Beach, his two sons Captain Jesse Henry and Kelly Henry, and his brother Don Henry, who resides in Walla Walla, Washington. Art Henry’s memorial service will be held on Sat., Jan 26 from 2-5 p.m. at the Clubhouse in Pacific Ranch Townhome Community near Yorktown Ave. and Main St. In order to receive approved gate access to the community, an RSVP is mandatory. Please contact Judy Henry at 714-960-5854 or via her cell at 714-397-0370, or Jesse Henry at 714-408-8453. Art was a gentleman and a true professional. He was supportive of our recreational boating industry, and was a regular at the California Yacht Brokers Association (CYBA) annual Legal Seminars and Dinner Dances, the latter always with Judy on his arm. He will truly be missed. Art was a respected colleague for over 25 years, and I can truly say he was one of the nicest, most helpful marine industry professionals I ever had the benefit of working with and knowing. My condolences to Judy, Jesse and Kelly, as well as to all who knew him and who will also miss his warm smile and helpful demeanor. Smooth seas and fair winds, old friend.